To say that 2018 has been an eventful year for Arecont Vision would be an understatement. Over a four-month stretch earlier this year, the company – an industry pioneer in the development of high-resolution megapixel cameras, expanded its product lineup to include video recorders, video management software and cloud-based web management services with the launch of its Contera solutions, filed for Chapter 11 bankruptcy protection as part of a restructuring effort and was later acquired by Costar Technologies. Going from a manufacturer predominantly focused on making cameras to one that offers an end-to-end solution is significant in and of itself, but the company, which was renamed Arecont Vision Costar following the acquisition, has been forced to navigate a proverbial sea of change across its entire business. However, despite this confluence of factors, the company and its management team have been able to chart a course that they believe will put Arecont on a path to grow and prosper in the months and years ahead. 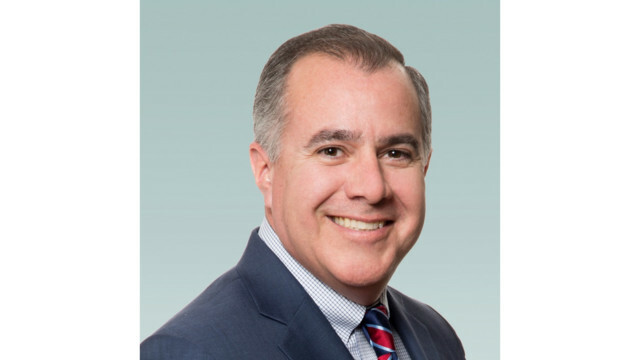 One of the people tasked with helping Arecont Vision Costar achieve these goals is industry veteran Raul Calderon, who serves as the company’s president. In this Manufacturer 1-on-1 interview, Calderon talks with SecurityInfoWatch (SIW) about how they’ve weathered this turbulent year, the benefits of becoming a part of Costar and what their integrator and end-user partners can expect from the company moving forward. SIW: Now that the sale of the company has been finalized and your ownership situation has been solidified, what are your plans to grow and prosper Arecont Vision moving forward? Calderon: There are a few areas we have been concentrating on. We’ve been vigilantly hiring new sales people. In the last two months we’ve hired four regional (sales) positions and we’ve acquired two new manufacturer rep groups, so we are very much looking to backfill a lot of the attrition we had before the (Chapter 11) filing and during the filing, frankly, on the sales side. That is first and foremost; we are invested in our sales channel and sales team globally. Without sales there is no company. We’re also looking to reinforce our engineering teams. SIW: In what ways will Arecont Vision be different in this new era of the company’s history? Were there any areas of the company you felt were lacking under the previous ownership? Calderon: At the end of the day, we went through a lot of trauma; I guess is the best way to put it, over the last year. There was a lot of executive change over, the issue relative to the bankruptcy and what that does to one’s image in the market and we’re still making our way through that. It doesn’t transform overnight. The transition of the organization is going to be one that takes not just a few short months, but probably closer to a year before things get turned around and executed the way we would like to. At the time we went into Chapter 11, the company was at a pretty low point and exiting Chapter 11 we’re looking to incrementally make every day, every month, and every quarter better and better. I wouldn’t be looking for a snap your finger turnaround because it never turns around that fast. Unfortunately, ships take a while to turn and this one is taking its time but we have a lot of focus on improvement of quality within the organization. We’ve had the Costar Technology management here helping us look at various different aspects of our manufacturing processes and how we can improve upon those. We’re also looking at how we can improve our customer service and support through our tech support team and our field applications engineering team and so all of these efforts are part of a reshaping of the organization to improve the customer experience, the quality of our product and maintain and support our existing customers and gain new customer moving forward. The goal here is not to invent the thing that hasn’t been invented yet but to incrementally improve our business and do it in a slow, steady, methodic way that keeps us as a profitable business and enables to growth month by month and quarter by quarter. SIW: Where will your market strategy and product roadmap go from here given the recent launch of your Contera line? Calderon: As a company, we haven’t had a software solutions provider and at this point, software is still kind of in its infancy for us. While we do have a full software solution, it’s going to take a while for us to gain the type of traction that we’re looking to get out of the software component of our offering. Also, a part of that new offering over the last few months has been a shift to also offer a non-FPGA-based solution but rather SoC solutions as part of our product line and that being the Contera line on the camera side. The Contera line of cameras has proved to be a good step in our competitiveness, frankly, competing with the lower cost solutions that out there, most of them coming from Asia. This product, also being manufactured in Asia, gives it some of the same competitive edges that others have. Really we have kind of a threefold market approach right now whereby we are offering our Mega line of product, which is the traditional, made in the USA product portfolio we’re expanding upon that with U.S-based design and engineering, and we have our Contera offering, which has a smaller number of cameras and we’re looking to expand that using overseas engineering and manufacturing. We also have our Contera VMS, which is a U.S.-based designed and developed VMS that manages both the Mega line and Contera line of cameras seamlessly. SIW: What benefits does being a part of Costar bring to Arecont Vision and how do you plan to leverage those moving forward? Calderon: There are some immediate benefits. We have the ability to and we have already started to take advantage of relationships that they have, which we didn’t have with certain large customers and they have started to do the same with us. We are already beginning to come together on certain marketing types of programs. What you will see as we move forward into 2019 is a more kind of Costar group of companies’ front versus individual companies. As we begin to merge the parts of the company that overlap – there is some market overlap and some internal administrative overlap – and as we see where we can leverage those things we’re going to begin to leverage them more and more. The relationship is still very fresh, so we’re going through and trying to root out where we can improve our cost structure to make us a more competitive entity, where we can share resources if it makes sense, and we’re already marketing together. SIW: What kind of changes and/or improvements can your existing integrator and end-user customers expect to see? Calderon: We just added headcount to our tech support team, so hopefully they will get a live voice on the telephone much faster moving forward, but beyond that, we’re really focused on making the process smoother and less restrictive. We’re going to simplify the mechanism by which someone can create a ticket, get support for that ticket, and then get an advance replacement or repair/return and address ticket issues as quickly as possible. Right now, there are multiple systems one has to get into to execute a return authorization or get tech support and we’re trying to remove those barriers out of the way. If they are up on a ladder, the need help now, not 10 or 20 minutes from now, so we’re working on that. Joel Griffin is the Editor-in-Chief of SecurityInfoWatch.com and a veteran security journalist. You can reach him at [email protected].